When disaster strikes and you need your car towed somewhere, you may be lucky to have AAA or an insurance company ready to help you out. But you could have something better if you knew what to look for and how to get it. When choosing a towing company, there are distinct things to look for. We’ll go over a few of those here for you so that you can learn what’s most important. You definitely want to choose one with good business policies. But how do you identify those when you see them? First of all, you want a company that is open 24 hours a day, 7 days a week. That way you know that whenever an emergency arises, you can call your company and they’ll be open and answer the phone. You don’t want to have to wait until morning or until the weekend is over just to get a response. 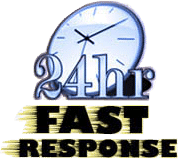 Additionally, you’ll want a company that will be prompt with their service, arriving within a half hour of your call. It helps if the company is locally owned and operated because their technicians will know the area well. And lastly, you’ll want a company that is up front about their prices and keeps their rates competitive on today’s market. Even if you’re just looking for a company that can provide the occasional towing job, you also want a company that can offer you other auto services. What if you find the perfect towing company, and then one day you just need a duplicate key made or you need a simple flat tire fix and they can’t do it for you? Wouldn’t it be better if your company could do multiple services for you? Find a towing company that also provides a wide variety of roadside assistance services as well as car lockout services. Do not under any circumstances work with a company that is not certified and licensed. There is no guarantee that they are professionals who know what they are doing. A good company will have gone through the necessary hoops to gain certification and licensure to assure their customers that they are professionals in the industry. Each and every technician at that company will be someone that you can count on to have the skills and knowledge they claim to have. 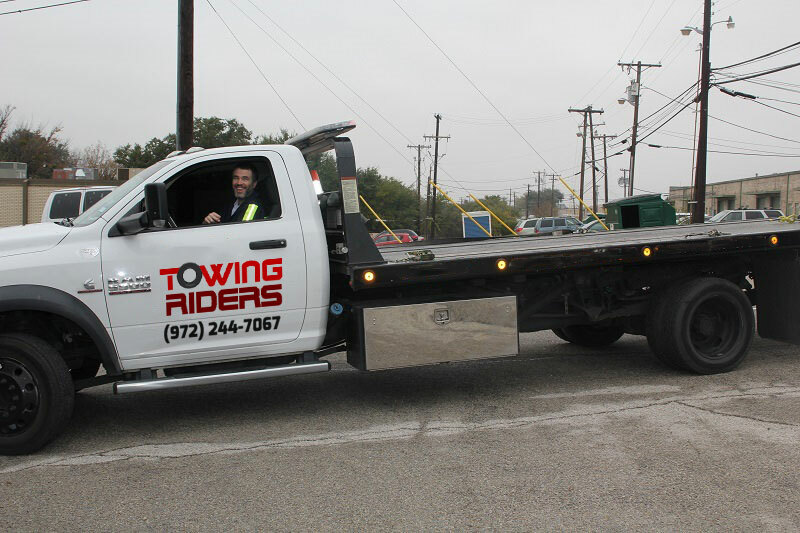 Towing Riders and their network of licensed affiliates experts maintains all of these business policies, offers all of these services, and is certified and licensed as a professional towing company in the auto industry. You will choose wisely by choosing Towing Riders.